Today marks the 251st birthday of John Quincy Adams, sixth President of the United States (and son of our second POTUS, John Adams). Born on July 11, 1767 in a part of Braintree, Massachusetts that is now known as Quincy, the younger Adams was a pretty interesting guy. From his penchant for skinny-dipping to his beloved pet alligator, here are some things you might not have known about the skilled statesman. 1. HE WAS ELECTED PRESIDENT DESPITE LOSING BOTH THE POPULAR AND ELECTORAL VOTES. The election of 1824, which saw John Quincy Adams face off against Andrew Jackson, is the only presidential election that had to be decided by the U.S. House of Representatives, as neither candidate won the majority of electoral votes. Despite losing both the popular and electoral vote, Adams was named president by the House. 2. HE LOVED MORNING CARDIO. When it comes to personal fitness, early birds have an edge. Studies have shown that morning workouts can curb your appetite, prevent weight gain, and even help you get a good night’s sleep later on. Nobody understood the virtues of morning exercise better than Adams. As America’s foreign minister to Russia, Adams would wake up at five, have a cold bath, and read a few chapters from his German-language Bible. Then came a six-mile walk, followed by breakfast. 3. HE WAS AN AVID SKINNY-DIPPER. 4. HE ENJOYED A GOOD GAME OF POOL. Adams installed a billiards table in the White House shortly after becoming president. The new addition quickly became a subject of controversy when Adams accidentally presented the government with the $61 tab (in reality he had paid for it himself). Nonetheless, political enemies charged that the pool table symbolized Adams’s aristocratic taste and promoted gambling. 5. HE WAS AN AMAZING ORATOR, BUT TERRIBLE AT SMALL TALK. 6. HE KEPT A PET ALLIGATOR IN A BATHTUB AT THE WHITE HOUSE. 7. WHEN IT CAME TO POLITICS, HE PLAYED DIRTY. 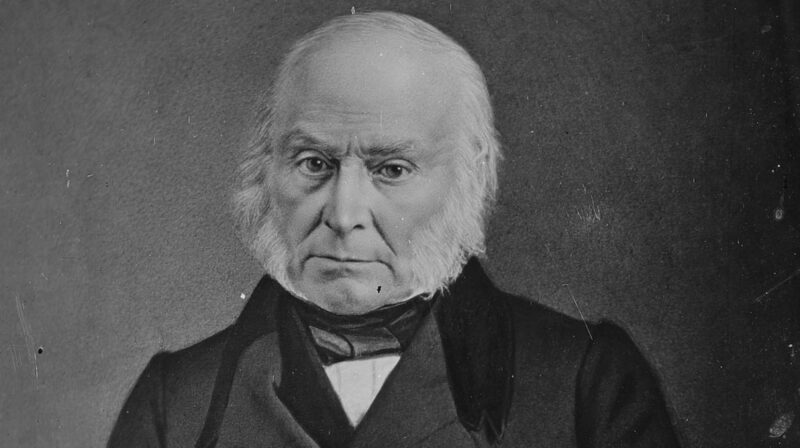 The presidential election of 1828—when incumbent John Quincy Adams got crushed by longtime rival Andrew Jackson—is famous for the mudslinging tactics employed by both sides. Adams’s side said Jackson was too dumb to be president, claiming that he spelled Europe “Urope.” They also hurled insults at Jackson’s wife, calling her a “dirty black wench” for getting together with Jackson before divorcing her first husband. Jackson’s side retorted by calling Adams a pimp, claiming that he had once procured an American girl for sexual services for the czar while serving as an ambassador to Russia. 8. HE’S RESPONSIBLE FOR ACQUIRING FLORIDA. Next time you find yourself soaking up some rays in the Sunshine State, take a moment to thank Adams. As Secretary of State, Adams negotiated the Adams-Onís Treaty, which allowed the U.S. to acquire Florida and set a new boundary between the U.S. and New Spain. That’s right: Walt Disney World might not have been built if it weren’t for the sixth president. 9. 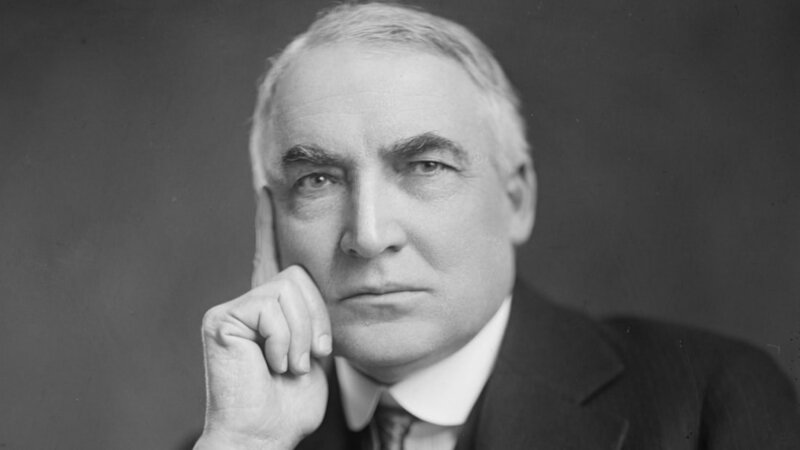 HE KIND OF HATED BEING PRESIDENT. 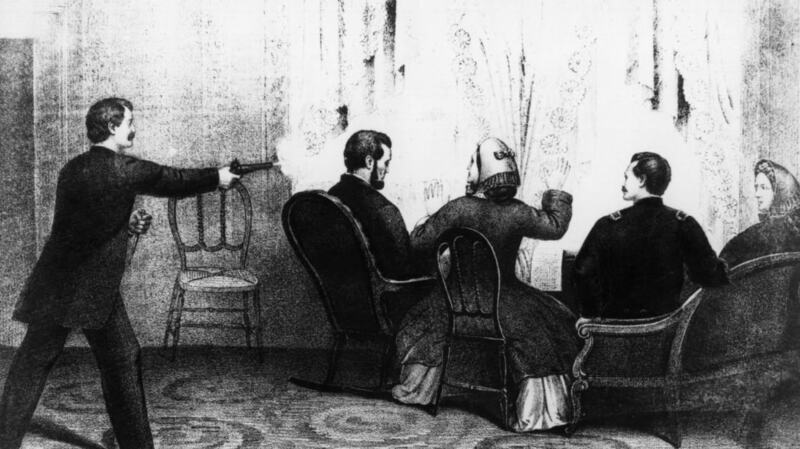 Adams once reportedly stated, “The four most miserable years of my life were my four years in the presidency.” But even if he hated being commander-in-chief, Adams couldn’t bear to be out of the political loop for too long. After finishing his term as president, Adams served 17 more years in the House of Representatives, where he campaigned against further extension of slavery. In fact, he died shortly after suffering a stroke on the House floor.